FRESNO, Calif. (KFSN) -- The 3rd annual "Support Blue Fresno" law enforcement run is coming up soon, and race organizers are throwing in an extra incentive for you to get race ready. The 1st through 5th place winners in the 10k will win themselves a Fresno Police Chief Jerry Dyer bobblehead. 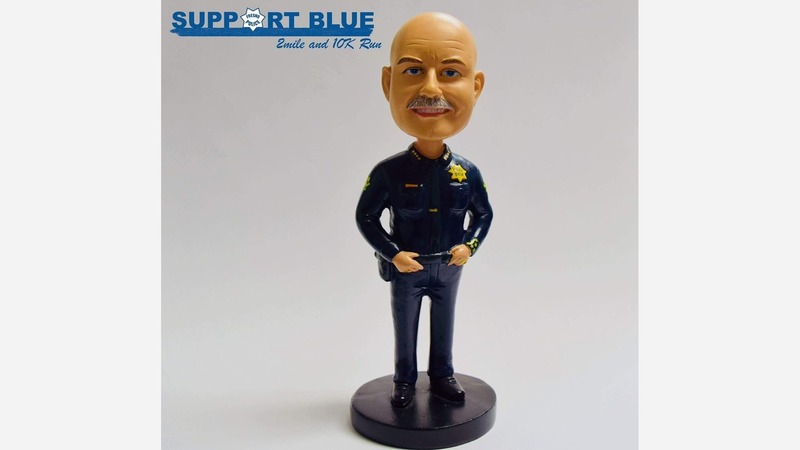 So you want a Fresno PD Chief Dyer Bobble head? You are going to have to earn it! It's the 3rd Annual “SUPPORT BLUE FRESNO” law enforcement run being held on February 24th, 2018. The event is being held at Woodward Park on February 24th. Race packets will be available the day before. For information about the race and how to signup, click here.